It's the end of January, and it's time to check in on my goals. Hmm. Where did I put those things? I didn't post them by my desk. I didn't carry them around. I hid them in a file folder that I didn't recognize on my pc. Here were my specific write motivation goals for January. 1. Finish Champion in Flight 3rd Draft. - eek. I didn't finish. 3. Write 3 pages in my journal each day and write poetry in the midst of that. - almost - 65 pages of journaling with poetry on Day 30 . . . so I made progress here. With my blog Blog: Keep with 1-2 posts a week. Trim the size of posts. Done, except for two lengthy posts (including this one). 1. Smoothie Challenge for January. - almost done! 2. Bike 20 miles a week on exercise bike and 12 miles a week on outdoor bike. Cross-train. - Does it count that I biked about half of this and cross-trained? 3. Stretch every day. - about half the days. 4. Organize my time. Keep goals and lists. - since I lost this list, obviously not! Yikes. Ok. So how did I do for the Write 1 Sub 1 Challenge this month? Four weeks went by, and I wrote 20 poems (mostly junk), 2 stories, and made 3 submissions. Hmm. I've got the Write 1 done, but the submit part, I'm struggling with. Does it count that I have a planned submission for February 1st all written up and waiting in my e-mail dock to go out? There's a specific submission window for a particular publication. So, my goals helped me, but were a bit beyond my reach this month. I learned some things. I remembered belatedly that my oldest daughter's birthday does have far reaching effects on my time and writing - especially since I wrote a mystery theater piece for her and 15 friends to act out on her birthday this year - and especially because I love that she loves having big parties. We both get a lot of joy out of planning and creating fun events like that, but it's also time consuming and I need to remember that when planning January goals. 2. I ran a half mile with my youngest daughter (running hasn't been possible for a while for me, so this is a huge thing). What are you celebrating today? And how are your goals working out this month? Answers to "What's Your Truth?," a New Blog Look, and "Robot Sonnet" goes live! So, on late last Thursday night, I decided to change things up a bit here at my blog and try a new look. The picture of the dancers' feet is from a few years ago at a ballet studio my daughters danced with for a year. Of course, I captured a few mom feet in there too, because moms are a part of any dance studio. So, what do you think? Is it too dark? Just right? Is the picture big enough or is it too small? And today, a sonnet I wrote and submitted for the Write 1 Sub 1 Challenge this year, went live today at Bewildering Stories. Check out my "Robot Sonnet" (#1). I'm super excited to get back into the writing, submitting, and "hoping to be" published process of writing short works. And yes, I'm working on Champion in Flight too. What's up with you today? Did you guess the right truths? Happy Writing and Happy Life!!! To celebrate Jamie Ayres second book in the 18 Things Trilogy, 18 Truths, Jamie is hosting this fun fest! To participate, you can sign up anytime between now and January 28th to post and to win one of 18 prizes!!! The post needs to have two truths about you, and one fib, and you get to pick the lie from the truth. 1. I used to be a competition ski racer. 2. I've been snorkeling with manta rays, giant green sea turtles, and sharks in Hawai'i. 3. I went on a kayaking trip with my parents long ago by the San Juan Islands, and a pod of orcas swam through and around our group. So, what do you think? Which is the lie? And although I'm not posting every Friday, I thought I would celebrate today anyway! Thank you, Viklit for this fun hop! 1. My oldest daughter's 15th birthday! 2. The online marketing symposium on Monday. What are you celebrating? And did you guess the lie? When I signed up for this event, I felt a little worried. I mean, what can I say about "what works" in marketing? I'm not a super successful author or marketer. I am just moving along, trying different things, and learning as I go. My sales rank at Amazon is low. I'm not Hugh Howey. However, I have had one successful marketing event so far as a writer. And I have a fairly successful release event. And then, I had my little tiny efforts with tiny bumps of results. Somehow, I ended up with a super long post. My most successful marketing event: A Book Signing! The most interesting/odd/amazing of that event: Although I wanted to have a book signing, I felt shy about asking anyone or even planning it. My homeschool co-operative is huge, and the board of directors approached me and asked if I would do a book signing. Wow! That kind of blew me away. What happened next: I set a date; made flyers with my book blurb, my author bio, and a pic of my front cover; and decided to donate a small portion of the book proceeds to the homeschool co-operative's building expenses (we have to rent a building on the day we meet because we're huge by homeschool group standards with 130-150 kids). I put the flyers up around the co-op for two weeks ahead of time, and put a flyer in each family file (kind of like mailboxes for our co-op). The day of the event: I arrived with a box of books. The board of directors had set up a table for me with a pretty tablecloth, vase of flowers, and even a fancy pen to use for signing books. Kids and parents talked to me throughout the morning. At lunch, I signed and sold books. I didn't expect a big group. I signed through lunch and into the passing time afterwards and was late to teach my after-lunch class. I signed books that were already purchased online and brought to the signing. I signed books that I sold at the signing. My hand got tired. It was awesome! 1. I don't have to be shy about approaching others about a book signing. 2. I probably should bring my own tablecloth and set up for the next book signing (or at least I should be prepared to do that). 3. The flyers made a huge difference. 4. It had a lasting impact. Every month or so, a kid or parent approaches me and asks me about my next book, or tells me they've purchased a copy if they didn't at the event. 5. Book signings in a "regular" place are a good idea. I think that a book signing at a place where I didn't know anyone or knew few people would not have had the same kind of impact. Second Most Successful Event: Release day and book blog tour event. 1. The best part of this event had to do with the idea of being a champion. Everyone has or has had a champion in their lives - someone who has inspired them or encouraged them. 2. What I learned/will do next time: I need to have a single theme and stick with it, and keep my release celebration to one day or one week. 3. Beyond release day and week, I think that successful authors (from what I can see from my small side) continue to interview, guest post, and get seen around the web, but without the "tour" label attached. Third Most Successful Event: Book table at a local Christian drama group event. How it happened: The Evergreen Performers are a Christian drama team who perform plays and skits around the area. Their director and leader extraordinaire happens to be a sweet friend of mine. We used to work together on Vacation Bible School dramas. My friend invited me to place some of my signed books at a table during their performances. I went and sat at the table twice. Performers and other writers sat at the table the rest of the time and sold my book. 2. I don't have to be at the book table, and sometimes others sell my book better than I do. 1. Goodreads giveaways = Good reviews. 2. Kindle Select Free Giveaways = Gets more downloads and more readers, not sure about financial success. 3. Interviews and book blurbs on several different websites and blogs, continuing over time. Every time my books are mentioned, I see a blip in sales. It's not a big blip, but every little bit counts. 5. Meeting independent book store owners, and getting my books on their shelves. 7. An interview article in a semi-local newspaper (closer to the town I grew up in than where I live now). This one included some quotes from me that were "edited" creatively by the newspaper editor. 8. Hosting a monthly Writer's Workshop event at my church, and now at the local library branch. I'm facilitating/leading the meetings and encouraging other writers. I'm also getting to know other writers and readers. 1. Finding more websites for free marketing. 2. Guest posting/interviewing - if anyone will have me? 4. Encouraging fellow writers and artists. 5. Two - three book signings. 6. Find more independent bookstores. 7. Try to do something additional for marketing each month - glean ideas from other authors - like the ones involved with this symposium. 8. Submit my short work for publication - short stories, poetry, articles, etc. 9. 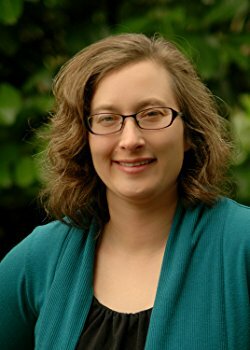 Approach other homeschool co-ops and several small Christian private schools in my area and ask if they would be interested in a Writer's Workshop event or book signing (or both). I'm terrified about this one, but I'm determined to at least try it. 10. Take part in a homeschool book fair. (Some of these are expensive per table so I'm aiming for a smaller one at this point). 13. If/when I do another book signing, I want to get in touch with my local newspaper and get a freebie blurb (I've done this before for a Writer's Workshop meeting), or if I can get an interview/article done for the event (which would be waaay cooler). 14. More Writer's Workshop meetings - planning more at the library, and more advertising for the meetings. 1. Encouraging others and being willing to give (time, talent, prizes, and donations) is a good place to start. 2. Personal contacts are the best, even if your hands are sweating through the ink on your business cards as you walk into an independent bookstore and meet the owner. 3. Marketing takes time, and must be balanced with writing and life. Why am I into the homeschool, Christian drama, and Christian private school market? 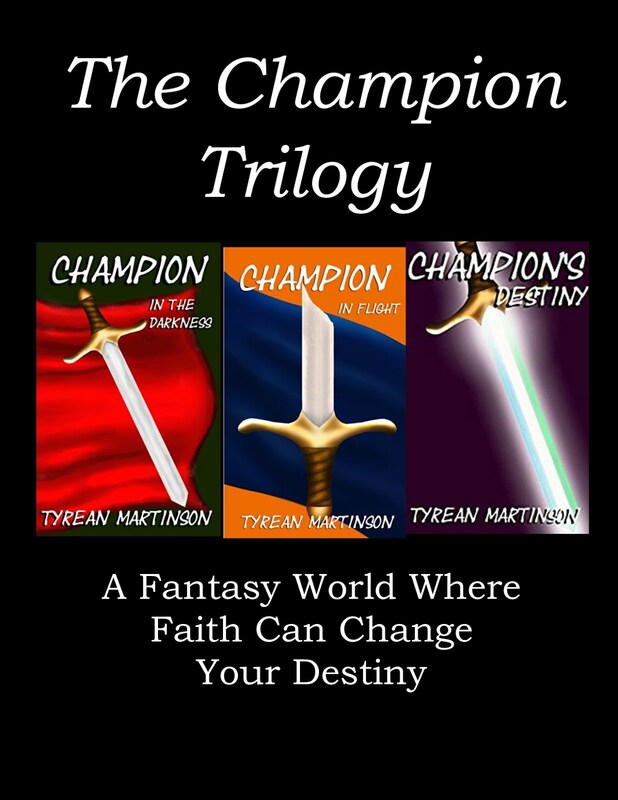 Because my books are Christian Fantasy for YA and MG readers, and I'm a homeschool mom - I can connect with these groups. However, I don't want to miss connections with other readers that fall outside the groups above. Whenever I meet someone from any place I go, whether it's a running shoe store (for my daughters), an audition (again, for my daughters), a dance studio, a coffee shop, etc., I want to take time to listen to their stories because they might be interested in hearing my stories too. So, what marketing works for you? I love celebrations - big or small. They are wonderful! However, I am changing my blog schedule to: totally random. Not really a schedule, I know. I'm going to be hiding out in my writing cave a bit more. 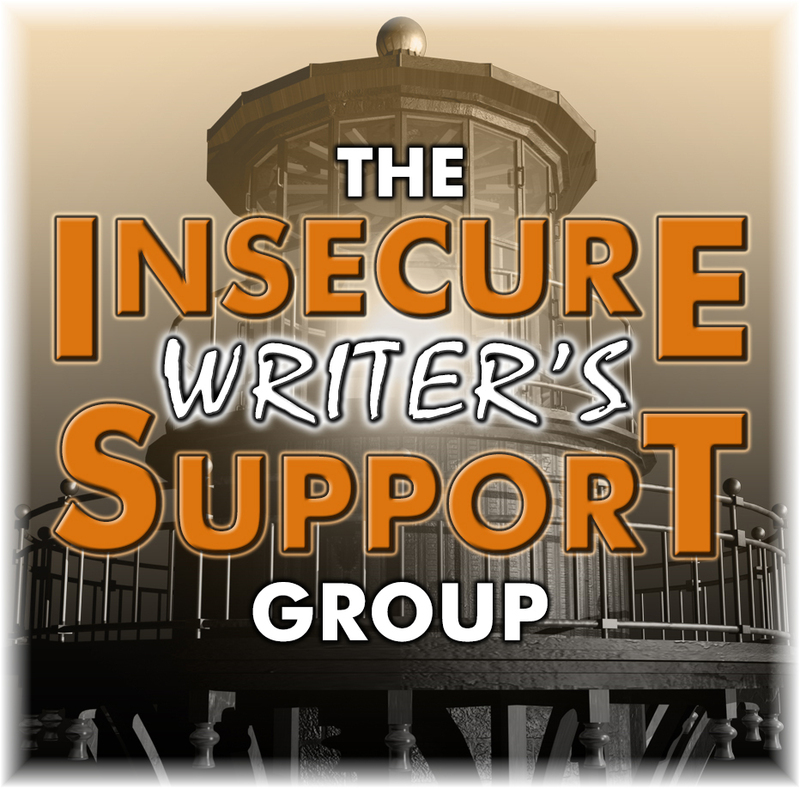 I still plan on hosting some 1 Word Interviews, meeting with IWSG each month, and checking in with Write1Sub1. I'll still be here some Fridays to Celebrate! But I won't be here every Friday, partly because ski season is finally here. Unlike most of the US, the Pacific Northwest is just beginning to get snow . . . in the mountains. So, for the next two months, most of my Fridays will be on skis - or ski boards/snow skates (short) for me, long skis for my girls, and a snowboard for my hubs. 1. Vik from Viklit for being awesome!!! 2. Vik from Viklit for creating Celebrate the Small Things! 3. All the Celebrate the Small Things participants! 4. Getting two awesome e-mails this week with acceptances for two poems! 6. Keeping my resolutions - so far, so good! 7. Tap dancing - because that's what my kids are doing as I write this post late Thursday night, and what I plan to do in just a minute. What are you celebrating this week? And have you ever gone random on your blog? L.G. Keltner is celebrating her two year blogaversary with the Endings Blogfest! When I saw this fest, I couldn't resist. Literally, I just feel in love with the art on the blog button, and the idea. However, due to a cold, waking up late, and getting the kids going on their lessons for the day (we homeschool and breakfast is planning time), I'm a little late to the party. Sorry. And I have thought over what to say . . . but no idea seemed like the right one, until now. The endings I like best are the endings with a sense of homecoming and a sense of open horizon - a look to the possible future. "And for us this is the end of all the stories, and we can most truly say that they all lived happily ever after. But for them it was only the beginning of the real story. All their life in this world and all their adventures in Narnia had only been the cover and the title page: now at last they were beginning Chapter One of the Great Story which no one on earth has ever read: which goes on forever, in which every chapter is better than the one before." For this first IWSG, with many thanks to founder and Ninja Captain Alex J. Cavanaugh, I just want to share a few little tidbits that have encouraged this last month. And a song from Disney's Frozen, partly because I just love the sound of Idina Menzel's voice, but partly because of some of the idea in the song. Now, there's a part of me that thinks, wait, but maybe a frozen wasteland is the best place for all the bad ideas. And that might be true. But let's not hide our creativity in a starved, unloved corner of our souls - let it go! Play with it, enjoy it, shape the words into a beautiful castle with solid foundations of daily practice! Indie Author Land is a great site for authors and readers! I have an interview there, live today! My goals for 2014 are too vast to put here. I counted up 101 resolutions in my journal on the first. I'm dreaming big, and small too, with a dash of fun here and there. 4. Blog wisely - which means shorter posts, less often at this point. Love bloggie buddies, but I need more time. 5. Live life the fullest. 6. Try a different marketing strategy each month. 9. Bike the STP (Seattle To Portland 204 mile ride in July) with my husband. 11. Pray intentionally, when I can, and with full trust in the Lord's provision (that's especially for those days when my prayers are of the "Lord, help" variety). 12. Love in a big, active way. 13. More Hugs. More Smiles. More encouragement for others. 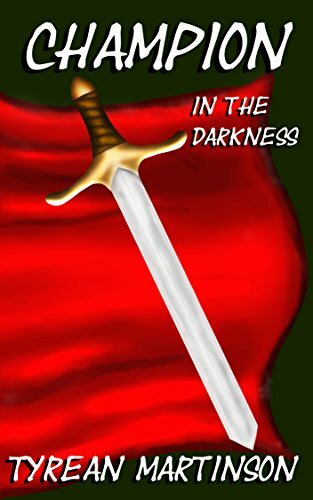 Please check out my interview at Indie Author Land!